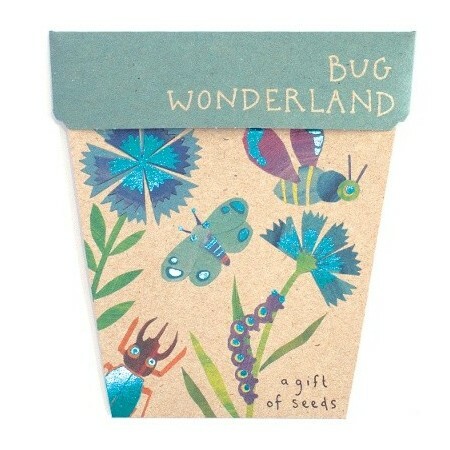 Sow'n'Sow seed cards are a gorgeous eco-friendly gift that grows. 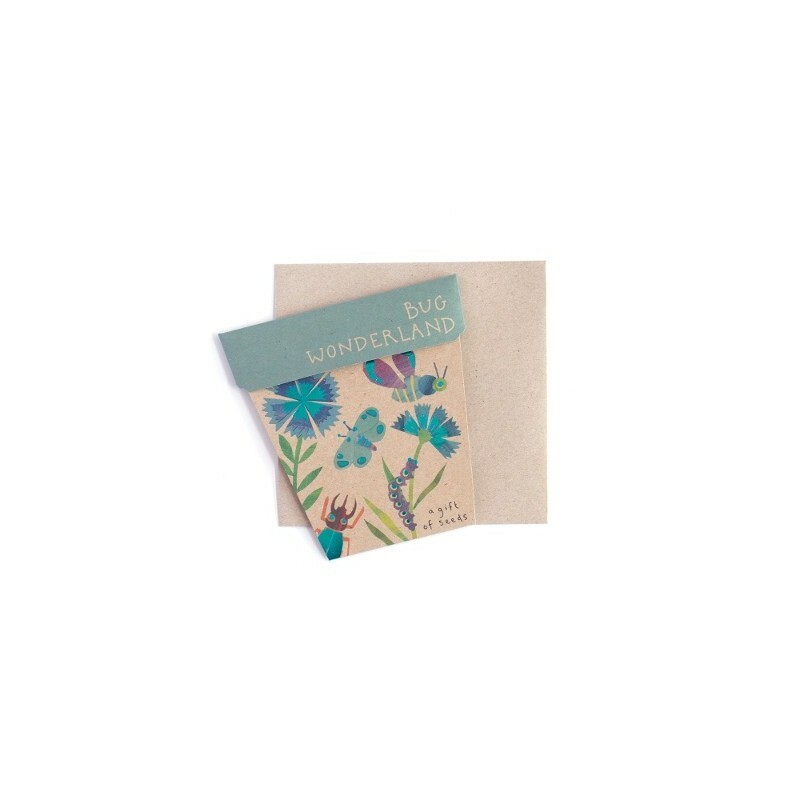 Each card features stunning artwork by Daniella Germain and includes a recycled kraft envelope, seeds, a plant label and sowing instructions. 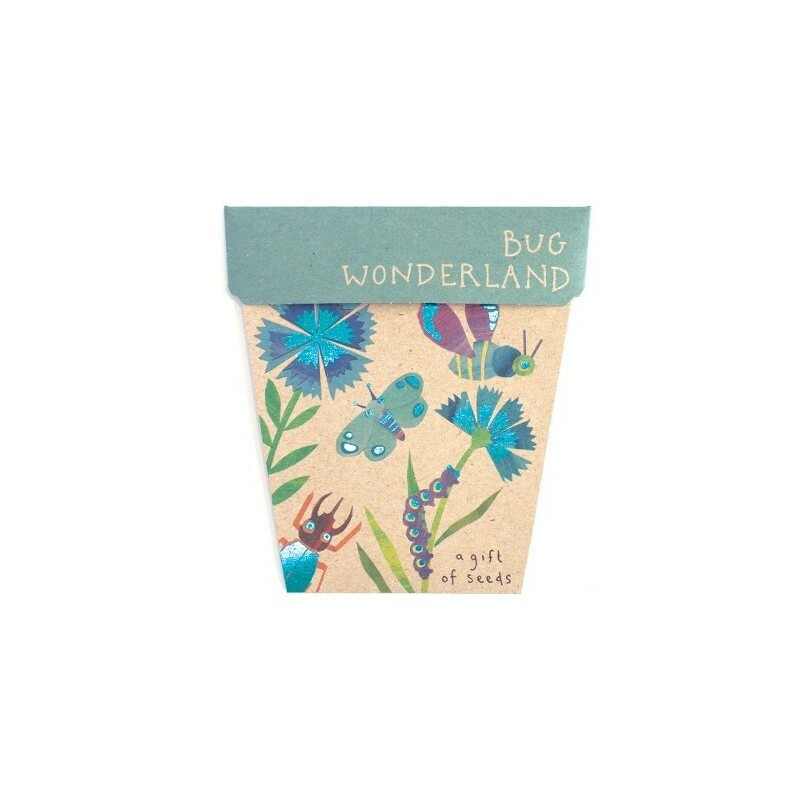 Bug Wonderland includes easy to grow dianthus, cosmos, cornflower & alyssum. Sow'n'Sow seed cards are a gorgeous eco-friendly gift that grows. Bug wonderland contains seeds to create a colourful garden kingdom that bugs will adores. Each pack includes the easy to grow dianthus, cosmos, cornflower & alyssum that are not only beautifully colourful but will attract bees, butterflies and beneficial insects to your garden. Each Sow'nSow gift card features stunning artwork by Daniella Germain and includes a recycled kraft envelope, seeds, a plant label and sowing instructions. I gave this with a bee house and made a lovely gift. Hopefully it works!